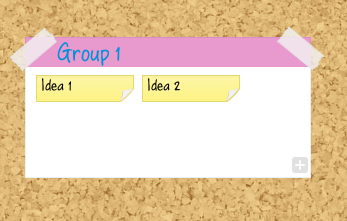 Now that you have started your Brainstorm, you can begin to add sticky notes, groups and images. Select the 'Idea' icon underneath the brainstorming tab in the main toolbar. Alternatively, you can add sticky notes by clicking anywhere on the canvas and typing. Tip: You can edit the text at any time simply by double clicking on the sticky note itself. Select the sticky note by clicking on it. Press the backspace button on your keyboard. You can also add groups of sticky notes to your Brainstorm to help keep things organised. The group will now be added to your Brainstorm where you can enter a group name. Once you have created the group, you can drag and drop other ideas directly into it. You can edit the group name by simply double clicking on the name along the top of the group. 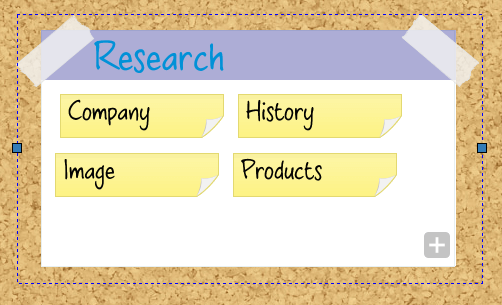 To take a sticky note out of a group, simply drag and drop it out of it or drop it into another group. Note: Deleting a group will remove all contents of that group. Click on the image icon in the Brainstorming toolbar. 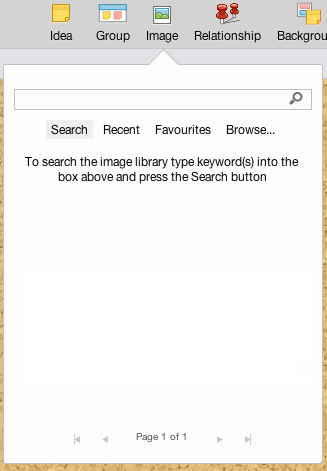 Alternatively, you can search for an image in the iMindMap image library. Simply navigate to the side panel and select the Image icon. You can then search for an image to add. All you need to do is click on your chosen image to automatically add it to your Canvas. Press on the backspace on your keyboard. 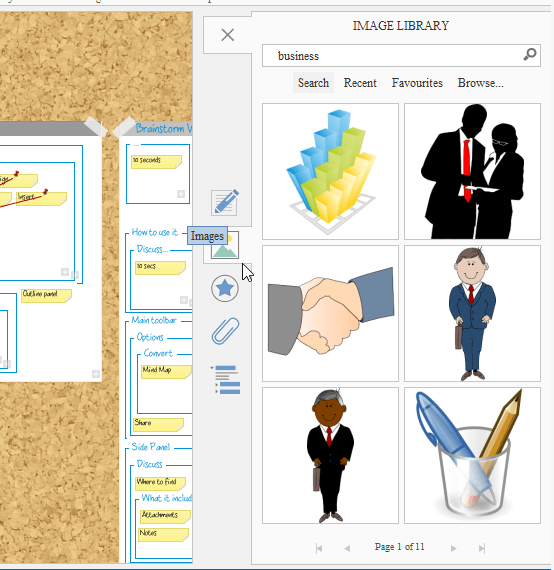 Now you have started your Brainstorm you can now begin to add sticky notes, groups and images. 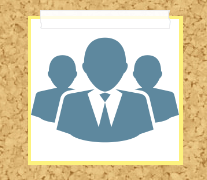 From the Brainstorming tab, select the group icon. Search for an image in the iMindMap image library, or upload your own.